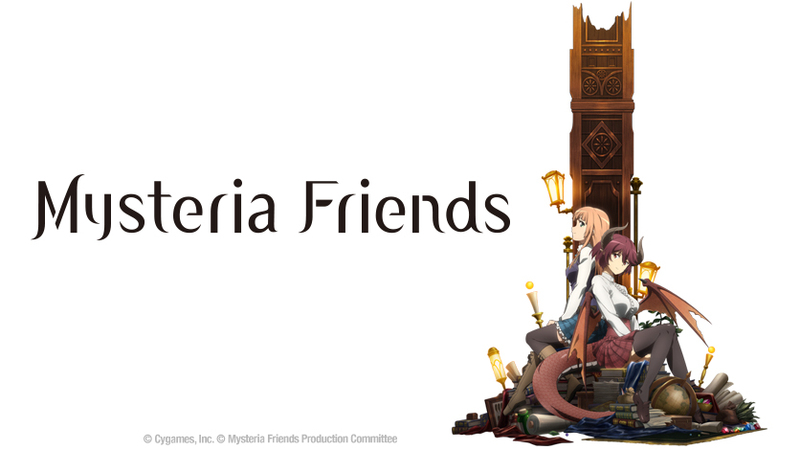 Yes, yes, we know - you know that we have the streaming rights to Mysteria Friends. BUT what you don’t know is WHEN you’ll be able to start watching the series. Well… you can begin enjoying it worldwide (excluding Asia) starting February, 10, 2019 at 17:00 UTC and every Sunday thereafter! Based off an event from the popular Rage of Bahamut mobile game, fans can explore an enchanting land populated by gods, demons and numerous other races. This tale follows a timeless bond between two students of Mysteria Academy, a prestigious establishment that teaches magic to all who wish to learn: Anne, a human princess, and Grea, a half-dragon.